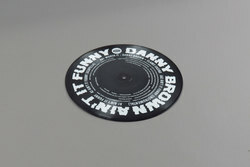 Danny Brown - Ain’t It Funny. Vinyl LP. Bleep. 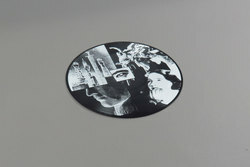 Danny Brown follows up 2016's most experimental rap record bar none with a sickeningly dope picture disc designed by Brain Dead. Stripping album focal point Ain't it Funny b/w ‘Worth It’ produced by Clams Casino, Brown gives us an added bonus with Paul White's instrumental and his a capella added for the deejays looking to get it twisted. Ain't It Funny comes on like Gang Starr jamming on a hefty hangover, Danny spitting from the sofa with a mouthful of sawdust while a dehydrated headache of a beat bangs away a sense of demented bliss. Clams on the flip gives a minimalist dub mix, paranoid and sketchy with smashed drum beats adding a level of intensity to Danny's tight as f*ck bars.